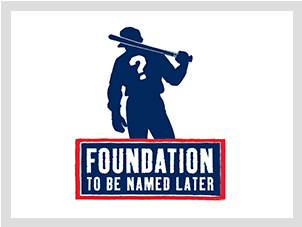 The Foundation To Be Named Later was launched in Spring of 2005 by Paul Epstein, a social worker in the Brookline Public School system, and his twin brother, former Red Sox Executive Vice President and General Manager and current Chicago Cubs President, Theo Epstein. The mission of FTBNL is to improve the world through education, leadership and the healthy development of youth and families. We raise funds and awareness for non-profit agencies, working on the front lines, serving disadvantaged youth in the Greater Boston area. We invest in programs that teach leadership, education and healthy development of families and send highly under resourced young people with great potential to college. Play for us! Help us win by playing for our country. The country with the highest average game score wins!